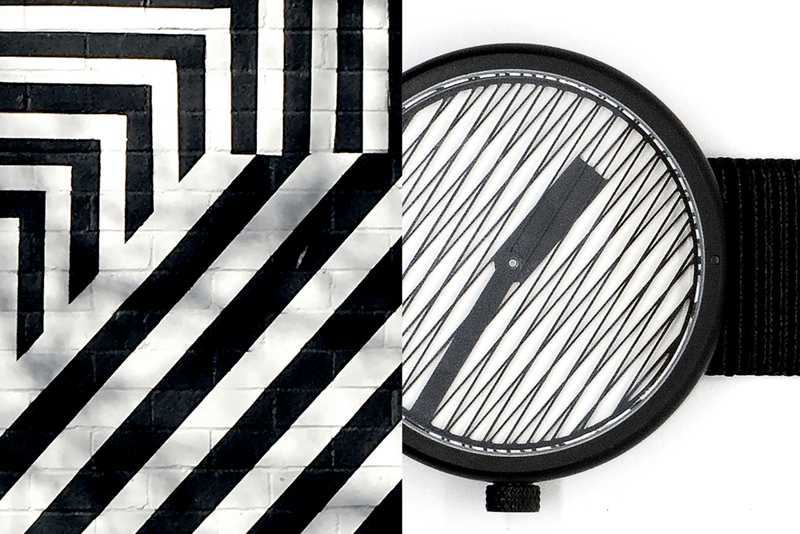 © 2019 Catherine Stolarski Design All Rights Reserved. 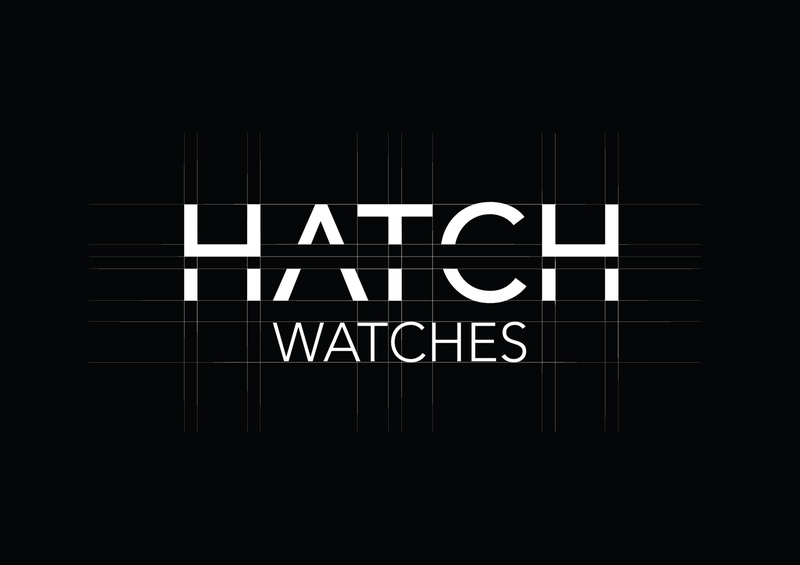 Hatch Watches is a creative brand based in East London that offers unique timepieces with high quality materials and finishes. 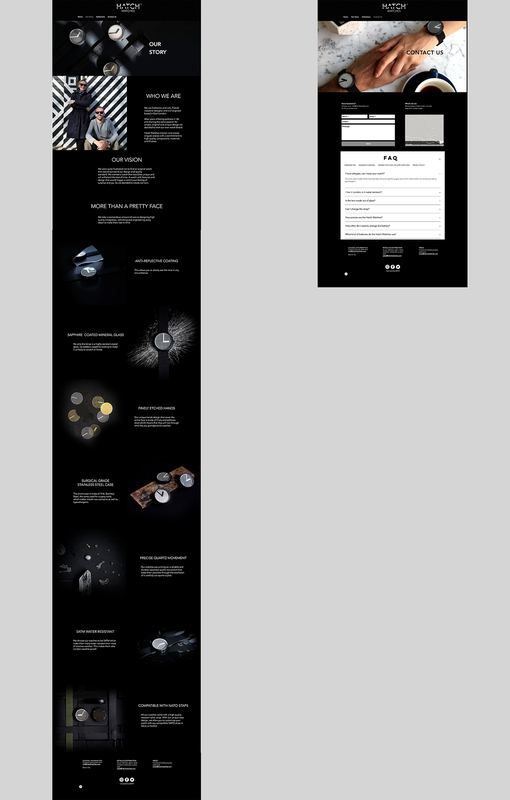 We worked on all the aspects of the brand experience from designing the product, creating its business model and marketing strategy to its identity, brand direction and designed all the creative content. 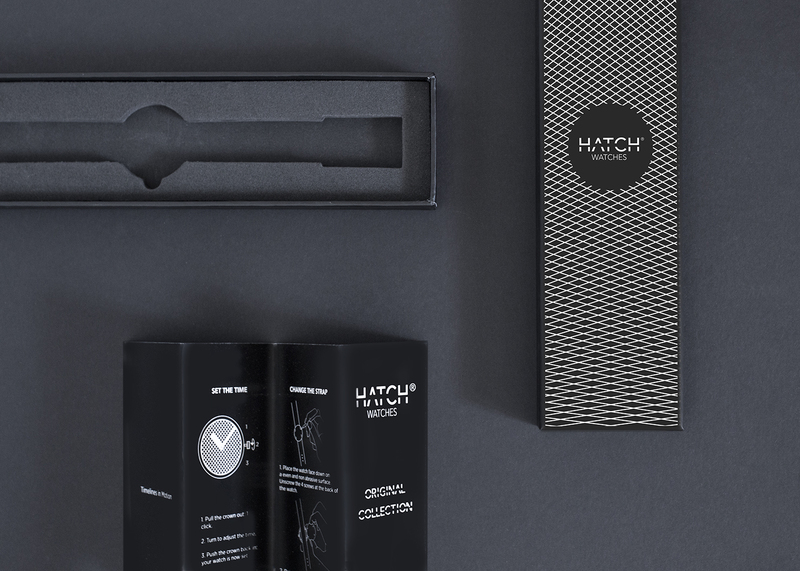 We conducted a market research and positioned Hatch Watches by defining its audience, competition and unique selling point. 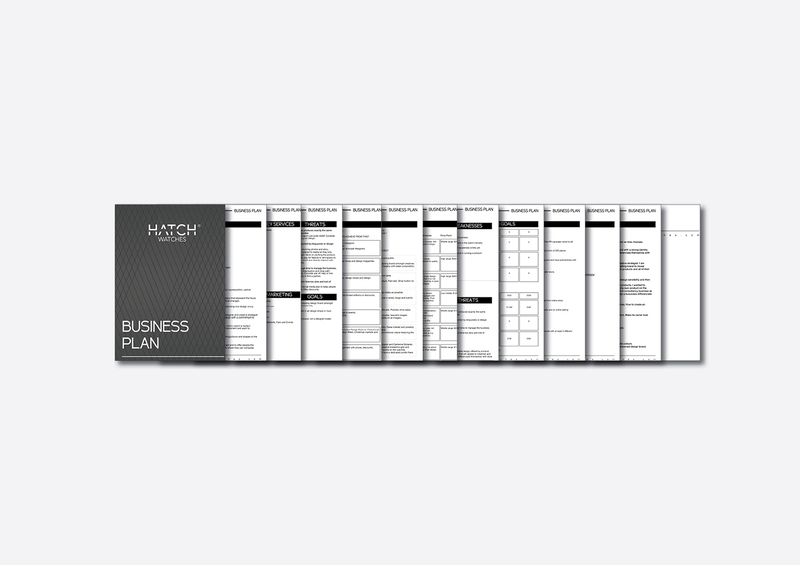 We created a brand book that includes the brand definition, mission, values, tagline and ambition. 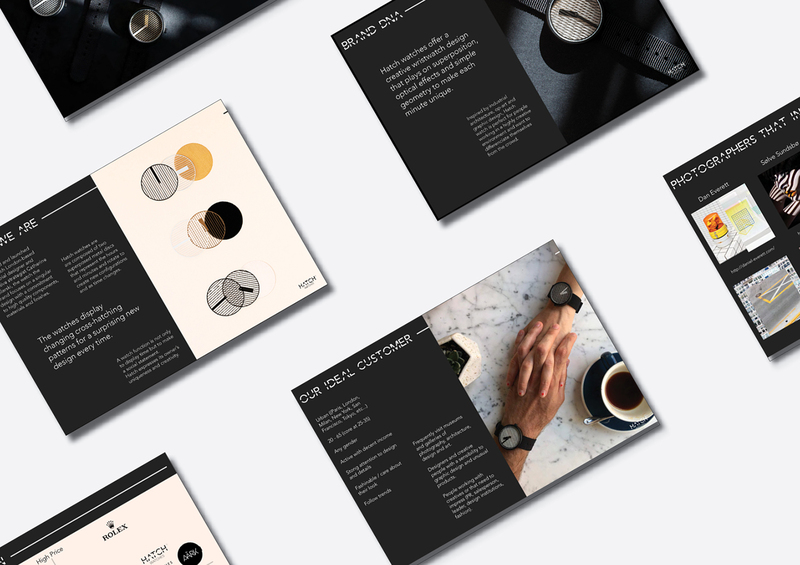 Following the brand strategy guidelines, we created a unique and distinguishing identity in line with the brand ethos of simple yet original and timeless design. 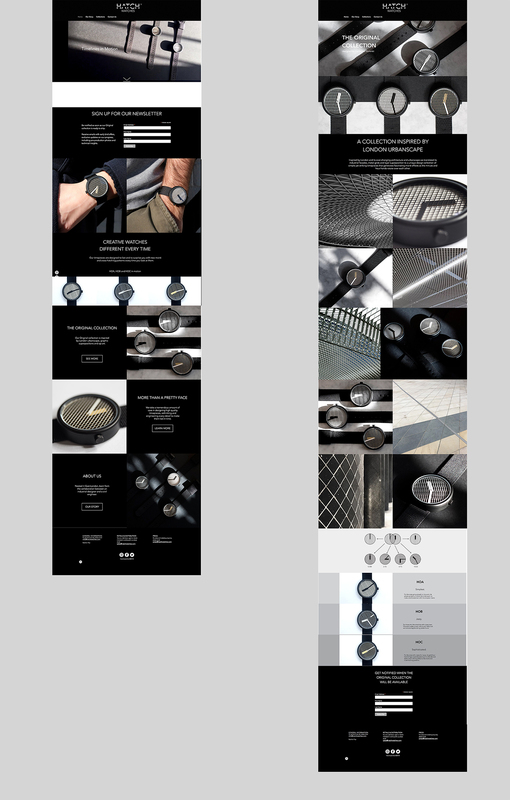 The gap line running through the letters is a reminder of the superposition patterns defining the watches’ singular design. 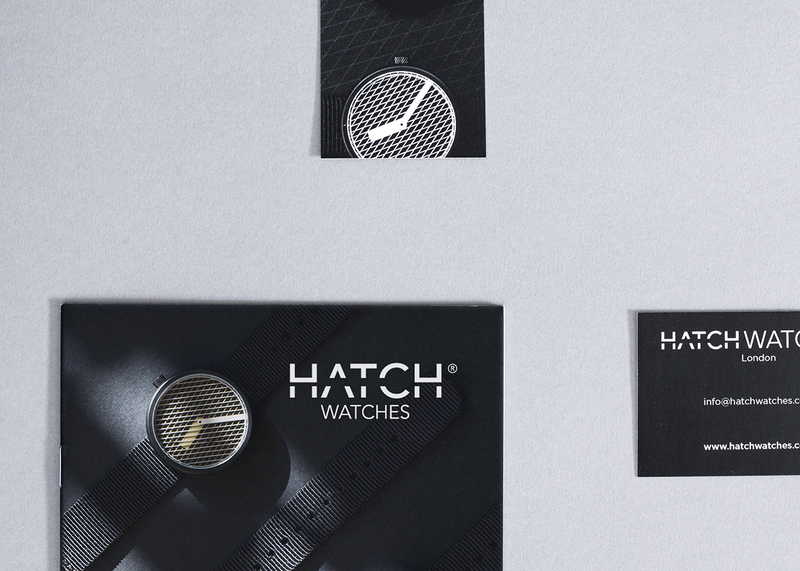 We strengthened Hatch Watches’ universe by art directing the photos to all have a harmonious look and feel that follows the colour guidelines of the brand identity and highlights the watch design concept of cross-hatching lines in all directions. 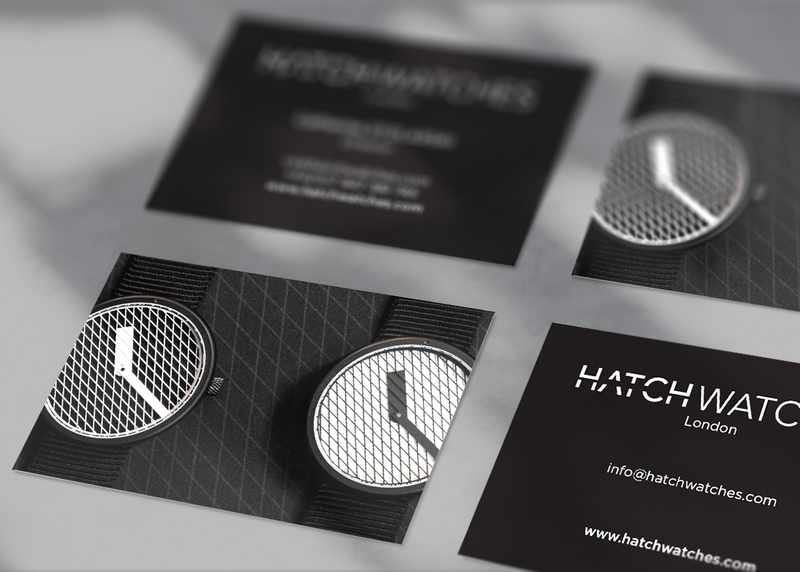 Along with the images creation, we designed marketing materials as a catalogue and business cards. 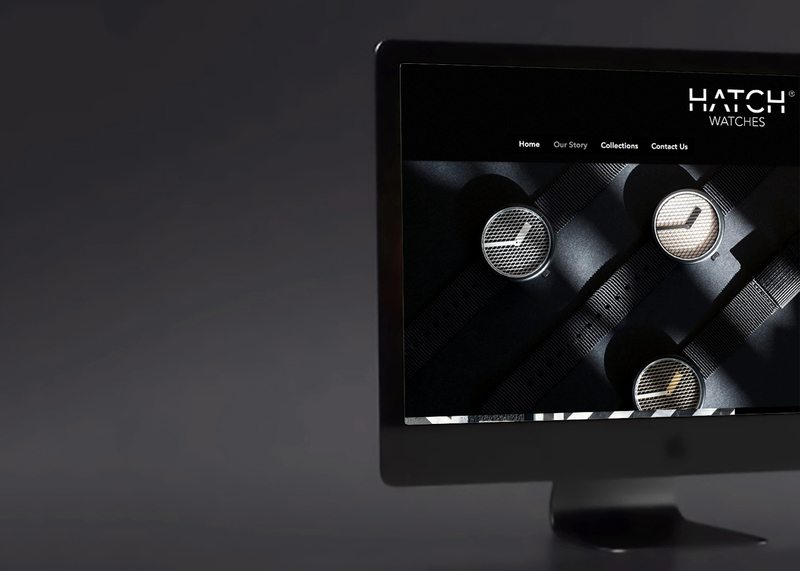 We combined all the brand strategy, identity and imagery in one e-commerce website that displays Hatch Watches’ universe and created a complete and cohesive experience to its audience from the discovery of the brand to the purchase of the products. 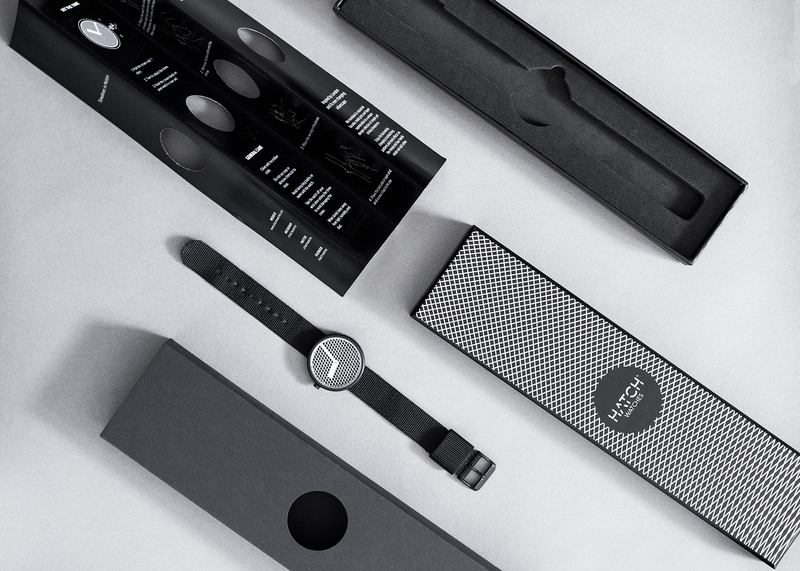 As the packaging is the first material interaction between the user and the brand, we designed a box that builds on the excitement of discovering the watch. 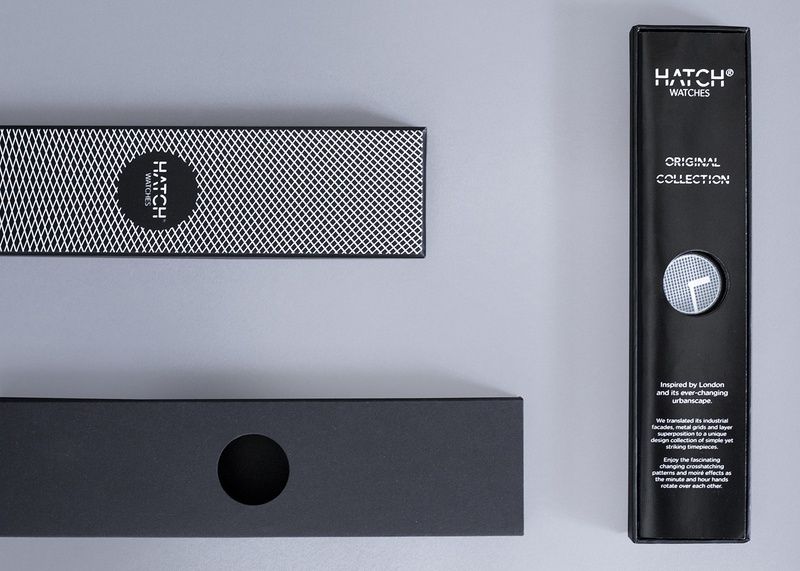 First, when the sleeve is removed, a pattern printed on the box lid animates through a cut-out hole in the sleeve. 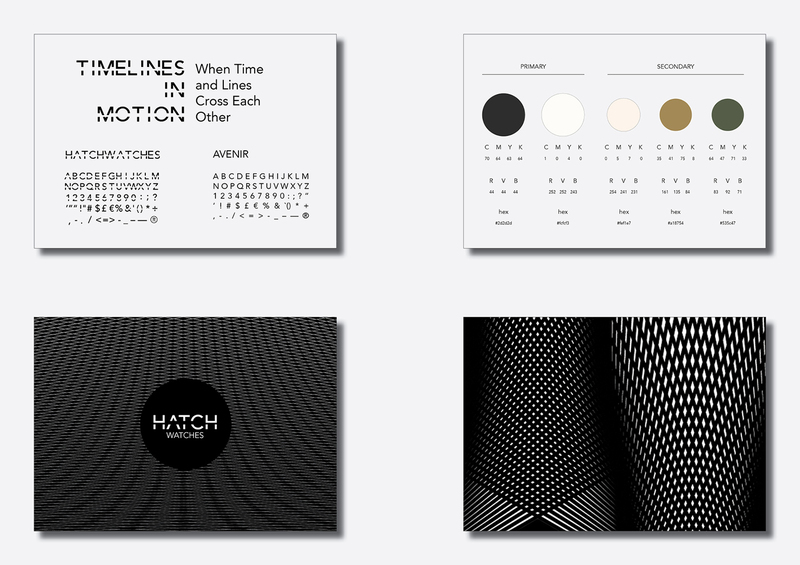 This reminds of the changing patterns on the Hatch Watches timepieces’ face. 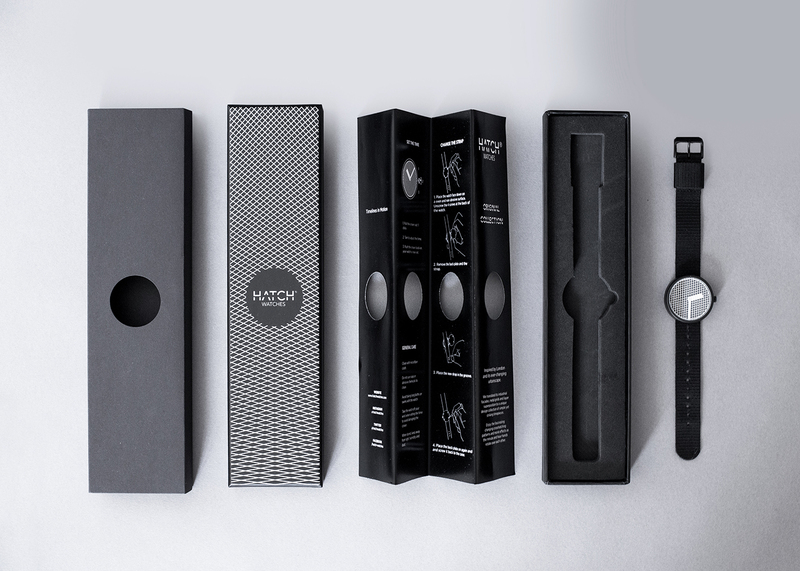 Once the box opened, the leaflet has also a cut-out hole that only reveals the face of the watch, again to focus on its unique design. 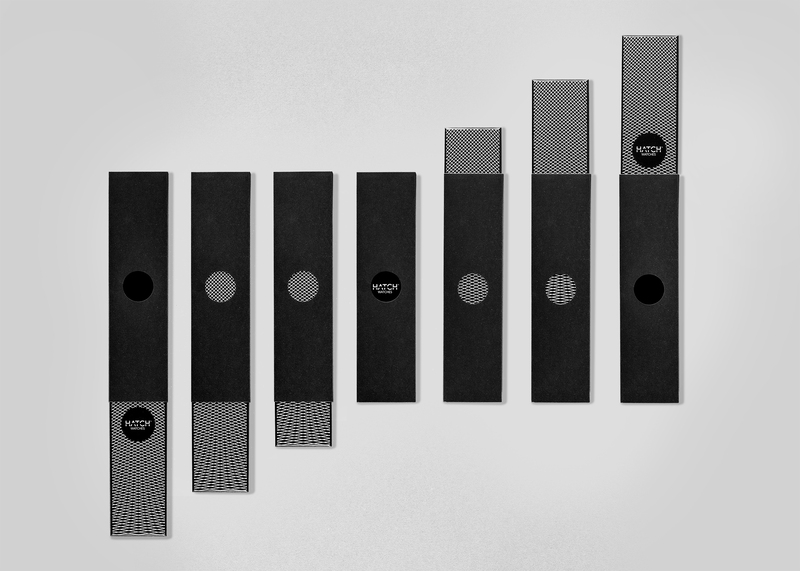 Then one can finally discover their watch in full in a safe and robust foam case. 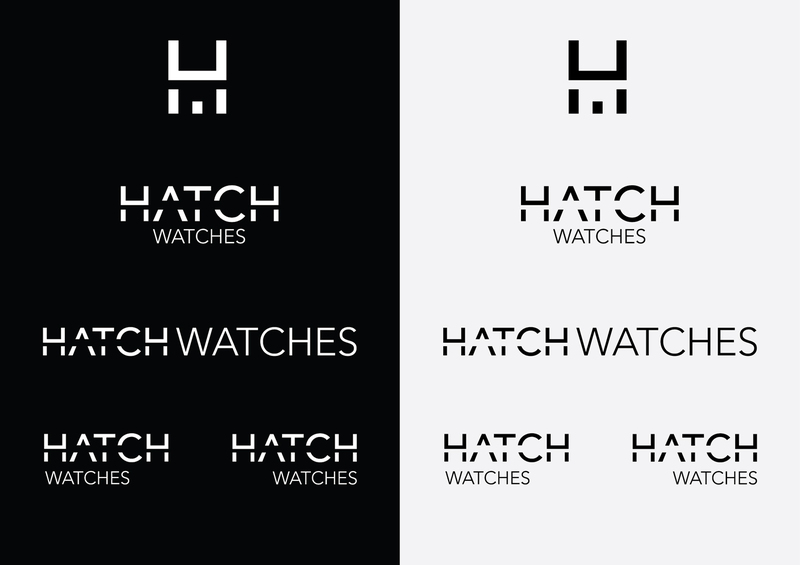 Following an exhaustive research, we defined a list of the right hashtags to use to reach Hatch Watches’ target audience. 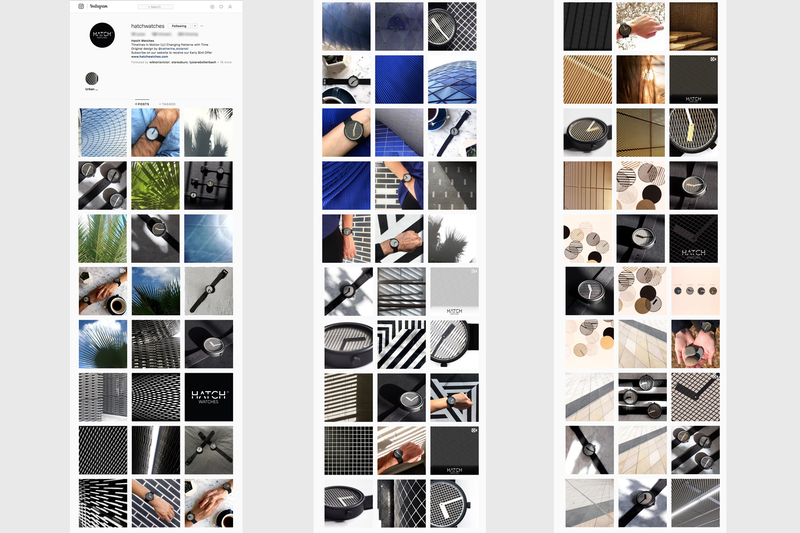 We create daily original content and curate it with high aesthetic standards across social media platforms. 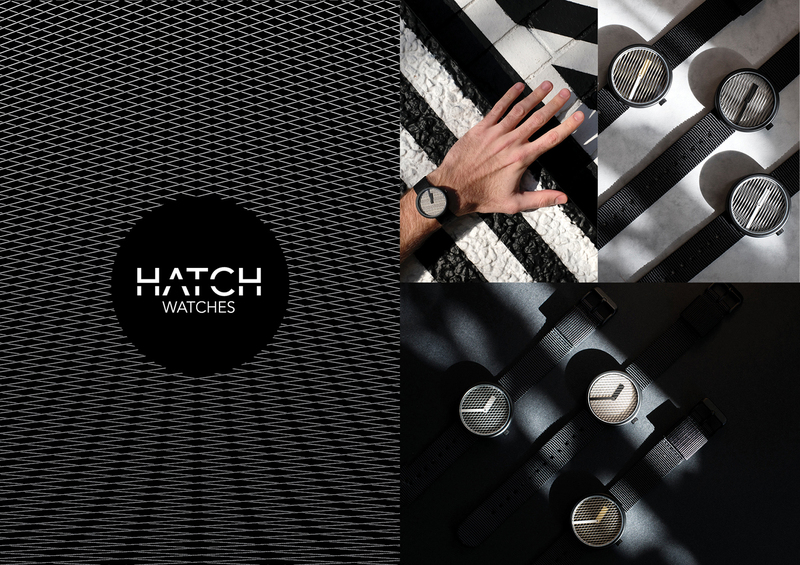 As Hatch Watches’ first collection is inspired by London’s architecture, we regularly take photos across the city and create a parallel between the product and its inspirations. 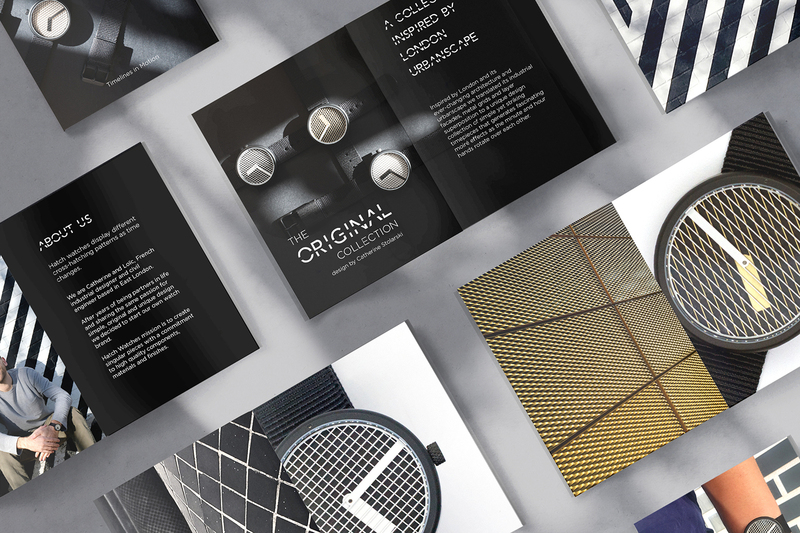 Catherine Stolarski Design is a multidisciplinary design studio based in London, offering smart, simple and unique solutions in industrial design, art direction and brand strategy for design-lead startups, small businesses and global brands.